The Urrbrae Wetland offers a range of unique, outdoor activities aimed to engage primary aged students. The most popular activities are those centred around the scientific method and inquiry based learning such as "Testing Water Without Water". This gives the students the chance to roll up their sleeves and see the wonderful creatures that call the Urrbrae Wetland home. 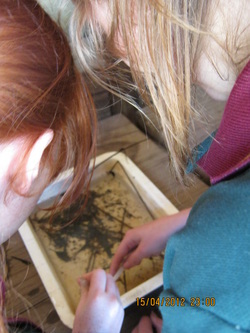 Then, using their scientific inquiry skills are able to assess the quality of the water in the Urrbrae Wetland.